Click on the report link in the email and the PDF “Neuroplasticity—The Game-Changer for Stress, Shame, and Trauma” will download. We will send you an additional email closer to the time of the summit with instructions on how to log-in and join Psychotherapy 2.0. Welcome, and thank you for registering for the Psychotherapy 2.0 online training summit! I am so happy to be working with my friends at Sounds True to co-sponsor this online training summit to bring together leaders in the field to share with YOU what is changing in our field and to present ideas that matter in your professional practice and life. This is a training summit geared toward professionals. We’ll go beyond just ordinary interviews. Each speaker will present a body of knowledge from their passionate, in-depth research and explorations in healing trauma and attachment wounds. We've brought together some of the most respected names in the field—visionaries such as Dr. Bessel van der Kolk, Dr. Diana Fosha, Jack Kornfield, Gay and Katie Hendricks, Steven Hayes, and Richard Schwartz. You will also learn how to integrate cutting-edge discoveries and practical applications of mindfulness and neuroscience that support true healing. Our goal is that you will have access to ideas, processes, tools, and best practices that you can use directly in your sessions. The opportunity for “Healing in Tribe” like this exponentially builds our community—enhancing compassion and connection, while supporting each other and our clients’ transformation. We’re so excited to have you join us on this amazing journey together. The challenge in the psychotherapy field is to embrace the light and the dark with equal equanimity, and being willing and able to meet our clients in both. The body keeps the score: overwhelming experiences are lived out in heartbreak and gut-wrenching sensations, which leaves survivors feeling unsafe, frazzled, on edge, overwhelmed, and shut down. The trauma that started outside is lived out in the theater of the body. As a result, survivors no longer feel safe inside their own skin. Recovery from trauma involves learning how to restore a sense of visceral safety and reclaim a loving relationship with one’s self, one’s entire organism. Awareness of physical sensations forms the very foundation of our human consciousness. Healing can only occur if survivors can feel safe, self-led, and effective. This session will explore how the brain is shaped by experience and how our relationship to ourselves is the product of our synchronicity with those around us, with specific techniques for bringing our healing capacities back online. Bessel A. van der Kolk, MD, has been active as a clinician, researcher, and teacher in the area of post-traumatic stress and related phenomena since the 1970s. His work integrates developmental, biological, psychodynamic, and interpersonal aspects of the impact of trauma and its treatment. His book Psychological Trauma was the first integrative text on the subject, painting the far-ranging impact of trauma on the entire person and the range of therapeutic issues that need to be addressed for recovery. Dr. van der Kolk and his various collaborators have published extensively on the impact of trauma on development, such as dissociative problems, borderline personality and self-mutilation, cognitive development in traumatized children and adults, and the psychobiology of trauma. He was co-principal investigator of the DSM IV Field Trials for Post-Traumatic Stress Disorder. His current research is on how trauma affects memory processes and brain imaging studies of PTSD. This session presents a fourfold approach to becoming a transformational therapist. We begin by exploring how to set positive neuroplasticity into action by entraining transformance—the innate drive to heal, moment-to-moment, session-to-session. Secondly, we consider how to use dyadic affect regulation to co-create safety and connection needed for deep emotional processing. Next, we learn how to work experientially with receptive affective experience and how to use a client’s sense of feeling felt and being seen to deepen resilience and sense of self. Finally, we will explore how to use AEDP’s groundbreaking metatherapeutic processing methodology to make the most out of each change-for-the-better moment. Diana Fosha, PhD, is the founder and director of the AEDP Institute, an internationally recognized school for therapists. With Diana on the cutting edge of transformational theory and practice, AEDP’s transformational theory (a basis for putting neuroplasticity and attachment theory into clinical action) is similarly receiving increasing recognition. Diana is the author of The Transforming Power of Affect and senior editor (with Daniel Siegel and Marion Solomon) of The Healing Power of Emotion: Affective Neuroscience, Development, and Clinical Practice, as well as the author of numerous papers and chapters integrating neuroplasticity, recognition science, and developmental dyadic research into experiential therapy and trauma treatment. The APA (American Psychological Association) has issued two DVDs of her live AEDP work with patients, and one DVD on clinical supervision. Our attachment patterns are transmitted through the generations—from grandparents to parents to how we parent our own children—and will greatly influence how our children parent as well. These patterns are unconsciously transmitted and embodied though implicit pre-verbal memory and our genetic heritage. When you take up the challenge to heal your own wounds, it deeply serves your personal transcendence as well as healing your ancestors, your progeny, and humanity. Deeply understanding your roots allows you to develop the transformational wings necessary to soar—into expansion, freedom, and spaciousness that nourish your true authentic self and help uncover your life’s real purpose. Diane Poole Heller, PhD, developed DARe (Dynamic Attachment Re-Patterning Experience), which provides a safe haven for therapists internationally to understand and heal their own attachment adaptations as well as restoring Secure Attachment functioning for clients. Using co-mindfulness, she creates somatic and relational clinical applications of corrective experiences aimed at excavating core wounds from implicit memory—wounds that are locked in the body unconscious—toward explicit memory to facilitate recognition and integration. Diane also emphasizes interventions that deeply nourish the Secure Attachment System. This training session is designed to give you the direct experience of feeling alive, engaged, and able to create rather than complain, supported by your embodied appreciation and curiosity. Body intelligence in action can guide empowered decisions and continuous renewal throughout a lifetime. Gay and Katie will share practices that generate presencing and connection so that you and your clients can co-create from the genius of transparent authenticity and radical response-ability rather than the fear-based adrenaline fuel that drives blame, criticism, and other common relationship patterns. The skills introduced here are based on Gay and Katie’s passionate engagement with body wisdom for many decades, and will include body intelligence practices from their latest book, Conscious Loving Ever After. Gay Hendricks, PhD and Katie Hendricks, PhD, have been pioneers in the fields of body intelligence and relationship transformation for over 40 years. They’ve mastered ways to translate powerful concepts and life skills into experiential processes where people can discover their own body intelligence and easily integrate life-changing skills. Gay and Katie have empowered hundreds of coaches around the world to add a body intelligence perspective to enhance fields from medicine to sports psychology, education, and personal growth. Together they have authored 12 books, including the bestselling Conscious Loving and the new Conscious Loving Ever After: How to Create Thriving Relationships at Midlife and Beyond. This session introduces participants to a new form of couples therapy—one that does deep individual work in the presence of the partner. Most of us, when faced in couples therapy with one or both partners needing trauma work or work on their characters, refer these individuals to individual treatment. Relational Life Therapy (RLT) offers a combination of loving confrontation (joining through the truth), educational coaching on relational skills, and inner child work that, taken together, produces quick, profound, and lasting change. Terry Real is a nationally recognized family therapist, author, and teacher. He is particularly known for his groundbreaking work on men and male psychology, as well as his work on gender and couples; he has been in private practice for more than 25 years. Terry has appeared often as the relationship expert for Good Morning America and ABC News. His work has been featured in numerous academic articles as well as media venues such as Oprah, 20/20, the Today Show, CNN, the New York Times, The Wall Street Journal, Psychology Today, and many others. This session will combine polyvagal and attachment theories to explain the links between trauma and pain, as well as to help to locate reliable pathways for permanent relief. We will explore a three-step intervention model. Step one involves resourcing through the body to create corrective somatic and emotional experiences, as well as inner and external relational experiences that support balanced psychophysiology. Step two highlights re-regulation of autonomic nervous system responses to traumatic triggering that involve emotional and physical pain. Step three focuses on repairing and rewiring enduring self-integration and secure attachment with others, learning how ego states connect with each of the three polyvagal circuits and the basic survival responses, and how to form alliances with key states and provide developmental repair to stabilize wholeness and enhance resilience and aliveness. Maggie Phillips, PhD, is a psychologist, acclaimed international teacher, and bestselling author who specializes in the treatment of traumatic stress, dissociation, and complex pain and health disorders. She is a Fellow of the American Society of Clinical Hypnosis and co-recipient of its Crasilneck Award for best first writing in the field of hypnosis. Maggie is also a Fellow of the International Society for the Study of Trauma and Dissociation and co-recipient of its Cornelia Wilbur award for contributions to the study and treatment of dissociation. She is a faculty member of the Somatic Experiencing Trauma Institute and has presented invited workshops and keynote addresses at major conferences on hypnosis, energy psychology, trauma, ego-state therapy, and EMDR. Her books include Freedom from Pain (with Peter Levine), Reversing Chronic Pain, Healing the Divided Self (with Claire Frederick), and Finding the Energy to Heal. Maggie also serves as Vice-President of Ego-State Therapy International. Anxiety can crush joy from life. Most people seeking psychotherapy have some measure of anxiety that needs relief. But what is the purpose of worry, and how do we effectively manage it? Margaret Wehrenberg, PsyD, is a clinical psychologist and the author of six books on managing anxiety and depression including The 10 Best-Ever Anxiety Management Techniques and her soon-to-be-published Tough to Treat Anxiety: Hidden Problems and Effective Solutions for Your Clients. She is an international speaker, frequent contributor to Psychotherapy Networker magazine, and she blogs on depression for Psychology Today. When clinicians learn how the brain works and how to strengthen its functioning, they can choose the therapeutic interventions that best help clients rewire dysfunctional patterns of coping, reverse the impacts of stress, trauma, and toxic shame, and move into resonant relationships and resilient flourishing. Catalyzing neuroplasticity becomes powerful, safe, efficient, and effective. Linda Graham, MFT, is an experienced psychotherapist and teacher of mindful self-compassion in the San Francisco Bay Area. She integrates modern neuroscience, mindfulness practices, and relational psychology in her international trainings and workshops. She is the author of Bouncing Back: Rewiring Your Brain for Maximum Resilience and Well-Being, and writes monthly e-newsletters on healing and awakening into aliveness and wholeness and weekly resources for recovering resilience (see lindagraham-mft.net). Our attachment styles are profoundly affected by our prenatal, birth, and infant experiences. Opening to the realm of these early experiences and how babies show their stories brings insight to our own histories and how we receive our babies and parent. Ray Castellino, DC, RPE, RCST, is a leader and innovator in the field of pre and peri-natal somatic psychology. He applies the principles that he’s discovered working with families to a format that he calls “Womb Surround Process Workshops” in which adults in small groups are able to gently and safely explore and integrate the energies from preverbal traumatic imprints. Ray is cofounder and co-director of Building and Enhancing Bonding and Attachment (BEBA), a non profit family research clinic; co-director of About Connections with homebirth midwife, Mary Jackson; and director of the Castellino Prenatal and Birth Training. With Anna Chitty, he developed Body Into Being, an energetic bodywork training that emphasizes somatic, hands-on skills especially applicable for families during pregnancy and for adults working on pre and peri-natal issues. Many couples come to therapy because they are developmentally stuck in patterns of escalating conflict or conflict avoidance. Some conflict avoidant partners appear warm and friendly yet they are deceptively difficult to change. They have long histories of giving themselves up to avoid tension and to preserve the relationship. Their fears of intensity, anger, and deep involvement often result in depression, despair, or entrenched passive-aggressive behavior. High-conflict couples rapidly escalate into fights and bitter interactions. They quickly trigger pain in one another. They become locked in self-protective stances that hide vulnerability and inhibit change. Disrupting both types of stalemate requires therapeutic sophistication, strong leadership, and ongoing repetitive support of differentiation. 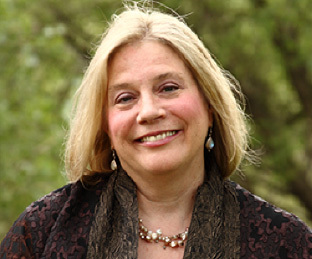 Ellyn Bader, PhD, has specialized in helping couples transform their relationships. She is considered by many to be the preeminent expert in couples therapy training. Ellyn and her husband, Dr. Peter Pearson, are creators of the Developmental Model of Couples Therapy and directors of the Couples Institute in Menlo Park, California. Ellyn and Pete are pioneers in the field of couples therapy, being among the first to specialize in it. They literally ”wrote the book“ on the subject: their textbook, In Quest of the Mythical Mate, is used in graduate training programs across the country and is in its sixteenth printing. In the evidence-based forms of psychotherapy, such as CBT (Cognitive Behavioral Therapy), it is common to use models to understand psychopathology and its alleviation, but it is much less common to focus those same models on the professional activities of therapists and student trainees. Steven C. Hayes, PhD, is one of the most-cited clinical research psychologists and psychotherapy developers in the world. His work on the nature of human language and higher cognition and its role in human suffering helped form the basis of Acceptance and Commitment Therapy, a powerful mindfulness and values-based method that is useful across a spectacular range of human problem areas. An author of 41 books and nearly 600 scientific articles, his recent work is focused on how targeting psychological flexibility processes can lead to new vision for evidence-based psychotherapy. All patients come to therapy with ideas and agendas, many of which are counter to therapeutic goals. It is a psychobiological premise that non-conscious, implicit systems involved in fast-acting social-emotional interactions drive people to confabulate narratives in order to maintain psychological organization. Additionally, people are known to employ deceptive mechanisms as a defense against loss. The clinician must remain aware of these often ubiquitous obstacles to gaining clarity in the therapeutic situation. The theory and techniques offered in this session will help participants remain alert to these challenges and employ skills to offset misinformation and to quicken the gathering of accurate data. This session will also demonstrate cross-dialogic and other strategic techniques for getting explicit and implicit information quickly in couple therapy. The presentation will endeavor to help the clinician utilize psychobiological strategies to help clarify partner attachment organization along with their true desires and unspoken agendas in couple therapy. These methods help drive couples toward the goal of secure functioning. Stan Tatkin, PsyD, MFT, is a clinician, researcher, teacher, and developer of a Psychobiological Approach to Couple Therapy® (PACT). Dr. Tatkin teaches at UCLA, maintains a private practice in Southern California, and leads PACT programs in the US and internationally. His coined catchphrases “couple bubble” and “secure functioning” refer to the therapeutic stance and goals of PACT. He is the author Wired for Dating, Wired for Love, Your Brain on Love, and coauthor of Love and War in Intimate Relationships. Developed over the past two decades, the Internal Family Systems (IFS) model offers both a conceptual umbrella under which a variety of practices and different approaches can be grounded and guided, and a set of original techniques for creating safety and fostering self-to-self connection in couples and families. This session will provide an introduction to the basics of the IFS model and its use with attachment and trauma. An overview of IFS and its clinical applications will be presented. Richard Schwartz, PhD, began his career as a systemic family therapist and an academic at the University of Illinois and at Northwestern University. Grounded in systems thinking, Dr. Schwartz developed the Internal Family Systems model (IFS) in response to clients’ descriptions of various parts within themselves. In 2000, he founded the Center for Self Leadership (see selfleadership.org), which offers three levels of trainings and workshops in IFS for professionals and the general public, both in this country and abroad. A featured speaker for national professional organizations, Dr. Schwartz has published five books and more than 50 articles about IFS. The powerful tools of mindfulness and compassion, well supported by neuroscience research, are proving increasingly effective in therapy and education. This session invites you to discover the transformative principles of Buddhist psychology and how they can quiet the mind, open the heart, and enhance Western psychotherapy. Learn how Buddhist psychology offers profound understandings and practical approaches to transform suffering, support and illuminate healing, invite inner freedom and healthy relationship, and enhance the effectiveness of modern psychotherapy. Session 8: Lasting Love Made Easy: Is That Possible? We unconditionally guarantee your satisfaction with all Sounds True products for one year when purchased via our website. If you are not 100% satisfied with Psychotherapy 2.0 for any reason, simply return it with receipt for a full refund.